I first started losing my hair a couple of months before my 20th (!) birthday. I distinctly remember the moment I realized this. I was doing my hair in front of the bathroom mirror and struggling to apply hair wax where there was no longer any hair. Naturally, I freaked. Of course, this change in my appearance wasn't noticeable to anyone but me, and friends would often argue that my hair was just fine. But as the years went on, my hairline went from being arguably impressive to so embarrassing that I was desperate enough to shave it all off at 26 years old. My hair loss was pretty severe at that point, as I had to style the front differently from the back in order to hide my follicle issues. I remember being at a mall once, and tilting my head down in front of a mirror, clearly being able to see right through to my scalp. My girlfriend (now wife) at the time eventually asked me ever so innocently, "what's wrong with your hair!?". I knew something had to change given that male pattern baldness runs in my family on both my mother and father's sides. I didn't want to try any pharmaceuticals due to potential unwanted / longterm side effects, so four years ago I decided to throw everything I'd ever heard about reversing hair loss through diet alone and see what sticks. Before we dive in, I’d suggest removing or limiting gluten (can inhibit nutrient absorption) and added sugar (can increase DHT and cause hormone imbalances). Eggs are a nutritional powerhouse, and were one of the first foods that I started focusing on when I changed my diet. Eggs contain biotin, a B vitamin (B7) that plays an important role in promoting hair growth as well as maintaining healthy skin. It’s very important to eat the yolks, as that’s where the vast majority of nutrition is stored within an egg. Although they’re a bit more expensive, I opt for Omega 3, Free Run or Free Range eggs. You’ll usually notice a big difference in color between conventional caged eggs, and ones that have been fed a proper diet and allowed to roam outdoors (think pale yellow vs a deep orange). I try to eat 2-3 per day, and I haven’t gotten sick of them yet. Next on the list is wild caught sockeye salmon. Salmon is high in protein and omega 3 fatty acids which not only fight inflammation, they also nourish the body to allow for new hair to grow. I mention wild caught sockeye salmon because it’s the highest in nutrients, but farmed salmon is still very nutritious and worth eating if wild salmon isn’t available to you. Believe it or not, my personal favourite way to eat salmon is canned (weird, I know). Something about the salt and light cooking method really does it for me. Just make sure to look for BPA free products like this one from Raincoast Trading, yum! 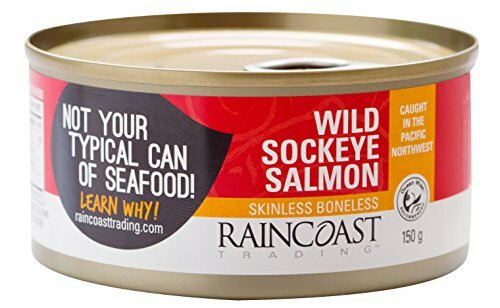 Raincoast Trading Wild Skinless Boneless Sockeye Salmon, 5.3 Ounce - 12 per case. Avocados are a true favourite of mine. I eat one each morning before work, as the healthy fats in avocados make for some excellent brain food to help me focus on my daily tasks. In regards to hair, avocados are rich in Vitamin B and Vitamin E which together keep hair strong, healthy, and encourage new hairs to sprout. 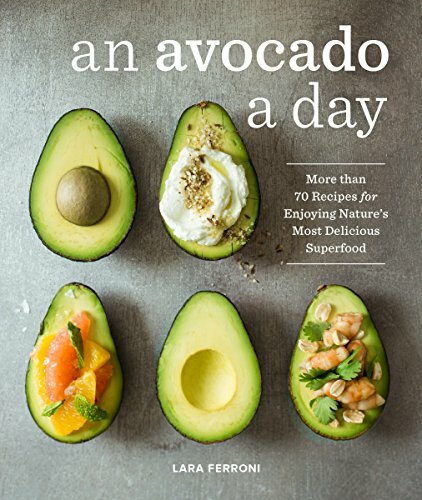 If the idea of eating an avocado everyday bores you, there are numerous cookbooks available to help you spice it up. Grass fed beef is rich in iron, b vitamins, and zinc, all of which aid in new hair growth. Choosing grass fed over conventional grain fed beef is worthwhile not only because of the higher omega 3 content in the meat, but also because cows that are allowed to roam on grasslands lead much happier existences than those that are raised in conventional factory farms. A while back I found an interesting article about two men who ate nothing but meat for a year, and documented the changes to their bodies along the way. "Interestingly, Andersen reported that his hair stopped falling out shortly after the meat diet was started; Stefansson also noted his hair started growing thicker and his scalp was healthier." To be clear, I’m not advocating an all meat diet by any means. Vegetables, fruits, nuts, seeds, and many legumes have so much to offer in terms of antioxidants and other protective properties. But it is interesting to note the positive benefits those two had when consuming nothing but meat and fat. 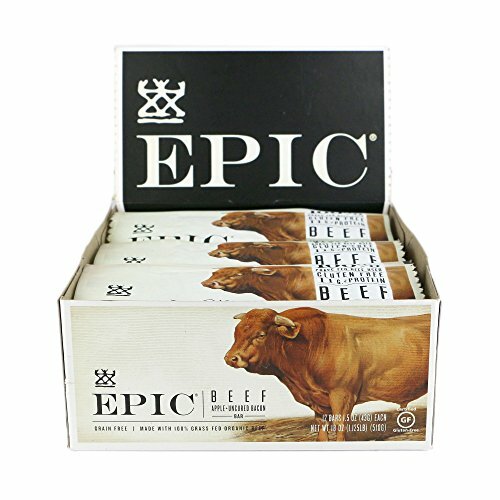 My favourite on-the-go grass fed beef bar is made by a company called Epic, and I think the name does them justice. I like the Beef, Apple, & Bacon bar the most, and while it isn’t available in Canadian stores yet, whenever I go to the USA I stock up like crazy. Bone broth has become a staple in my diet over the years. It is one of the weirder items on the list, but it can be very delicious when prepared properly. You can make bone broth from any animal bone, but I like to use oven roasted grass fed beef marrow (to support my immune system) and raw beef feet (for a high dose of collagen). To make it is pretty simple: Place the bones in a slow cooker and add some veggies like garlic, onion, ginger, cilantro, etc, then fill the slow cooker with water. Cook on low for around 24 hours, and add water every so often as it gets depleted. The big draw for me with bone broth is the high collagen content which supports healthy skin and hair. 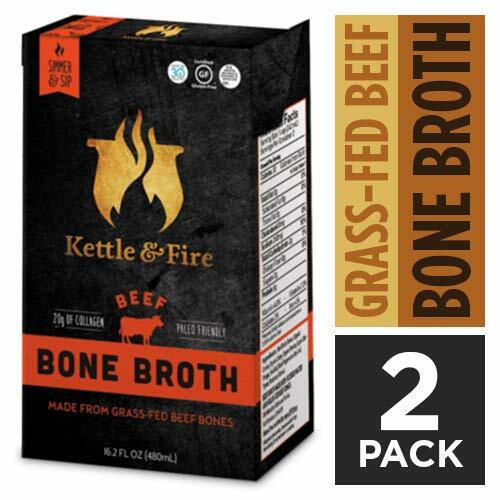 I enjoy the process of making my own, but if you can’t be bothered there are great options available online such as Kettle & Fire’s beef bone broth. This one took me quite some time to get used to. Natto is not the same as traditional soy, as the soybeans are fermented which neutralize the negative effects that are sometimes associated with soy consumption. Natto is prized for it’s high Vitamin K2 content (something that isn’t always easy to get in our modern diets), along with heart, skin, and hair benefits. If you're of Japanese descent this is likely common knowledge, but for everyone else I want to let you know that this might be the most crucial food to eat in order to speed up hair growth. I started eating natto about a year and a half after eating everything else in this list, and I noticed a significant boost in new hair growth after including it in my diet. Before natto, my hair growth was noticeable to me, but the improvements seemed to happen at a snail's pace. After incorporating natto into my daily routine, my hair growth became undeniable. It’s worth mentioning that natto tastes awful to many people including myself, but I’m living proof that you can get used to it. It’s important not to heat natto in order to preserve the probiotic benefits. As with other fermented foods, it’s best to keep them in the fridge until you’re ready to eat. Though I’d recommend eating natto as a whole food, if you can’t stomach the taste / texture, its also offered in supplement form. You can easily get natto in the frozen section of any Asian grocery store, or you can find organic natto online here. I suggest giving these foods at least three months to work their magic before seeing any results. You should start to notice new baby hairs growing that will eventually get stronger and thicker with enough time. This takes a long time. I've been eating this way for 4 years now (well, probably 2.5 with Natto), and I still don't have my old hairline...yet. That said, I notice new hairs coming in every few weeks, so I believe it's just going to take time. It took me seven years to lose all of the hair that I did, and I suspect it could take nearly that long to get all of it back. Don't skimp on the foods in this list, and try to eat as many of them as possible everyday. Treat your scalp like a garden that needs daily watering, and focus on nutrient dense foods. In my experience, treating hair loss through diet has been relatively simple, but it’s not necessarily an easy thing to commit to. The only proof I have that this works is in my own success story. I haven't shared this information in detail with anyone else before today, so I need you guys to try it out for a few months and let me know if it's working for you as well. Don't wait for a miracle hair loss pill that may never materialize.